The Doctor and Leela arrive on the planet Kaldor, where they find a society dependent on benign and obedient robots. But they have faced these robots before, on a huge Sandminer in the Kaldor desert, and know they are not always harmless servants. The only other people who know the truth are the three survivors from that Sandminer – and now they are being picked off one by one. The twisted genius behind that massacre is dead, but someone is developing a new, deadlier breed of robots. This time, unless the Doctor and Leela can stop them, they really will destroy the world. For thousands of years the Sontarans and the Rutans have fought a brutal war across the galaxy. Now the Sontarans have a secret plan to destroy the Rutan race – a secret plan the Doctor is racing against time to uncover. Only one Rutan spy knows the Sontarans’ plan. As he is chased through the galaxy in a desperate bid for his life, he reaches the planet Sentarion – where Professor Bernice Summerfield’s research into the history of the Sontaran-Rutan war is turning into an explosive reality. The TARDIS lands the Doctor and Martha in the Lake District in 1909, where a small village has been terrorised by a giant, scaly monster. The search is on for the elusive ‘Beast of Westmorland’, and explorers, naturalists and hunters from across the country are descending on the fells. King Edward VII himself is on his way to join the search, with a knighthood for whoever finds the Beast. But there is a more sinister presence at work in the Lakes than a mere monster on the rampage, and the Doctor is soon embroiled in the plans of an old and terrifying enemy. And as the hunters become the hunted, a desperate battle of wits begins – with the future of the entire world at stake. The Daleks are advancing, their empire constantly expanding. The battles rage on across countless solar systems – and the Doctor finds himself stranded on board a starship near the frontline with a group of ruthless bounty hunters. 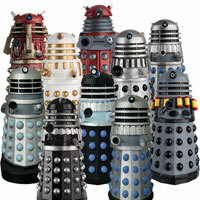 Earth Command will pay these hunters for every Dalek they kill, every eyestalk they bring back as proof. With the Doctor’s help, the bounty hunters achieve the ultimate prize: a Dalek prisoner – intact, powerless, and ready for interrogation. The Blitz is at its height. As the Luftwaffe bomb London, Cody McBride, ex-pat American private eye, sees a sinister silver sphere crash-land. He glimpses something emerging from within. The military dismiss his account of events – the sphere must be a new German secret weapon that has malfunctioned in some way. What else could it be? Arriving amid the chaos, the Doctor and Ace embark on a trail that brings them face to face with hidden Nazi agents, and encounter some very old enemies. 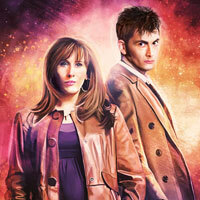 As Mark is given the chance to save Rebecca, it’s up to the Doctor, Amy and Rory to save the whole world. Because this time the Weeping Angels are using history itself as a weapon. The Doctor is in Victorian London with Nyssa and Tegan – a city shrouded in mystery. When Nyssa is kidnapped in the British Museum, the Doctor and Tegan have to unlock the answers to a series of ancient questions. Their quest leads them across continents and time as an ancient Egyptian prophecy threatens future England. To save Nyssa, the Doctor must foil the plans of the mysterious Sadan Rassul. But as mummies stalk the night, an ancient terror stirs in its tomb. 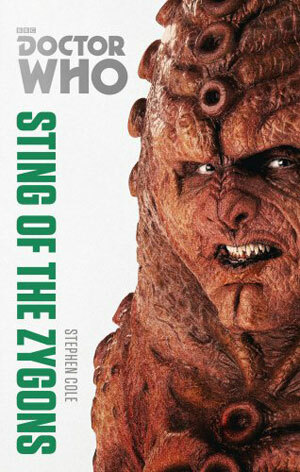 Got Sting of the Zygons yesterday from a charity shop for £2! Since then, I have added to the collection with Corpse Marker (1.99 from Oxfam), Scales of Injustice and Shakedown (2.99 each from a book clearance centre). Ces livres sont-ils disponibles en français ? Combien font-ils de pages ? Sont-ils faciles à traduire ? living shadow you can speak french 😎 ! wow we love are langages hear dont we!!! sko fro jo co go, fro o lo jo ko. ma ho!!! Why do they have to put the new series monsters on the cover? It’s ridiculous, same as the Monster Collection DVDs, it won’t make kids any more likely to buy them if it has a new series monster on the cover. They’ll buy it because it’s Doctor Who! 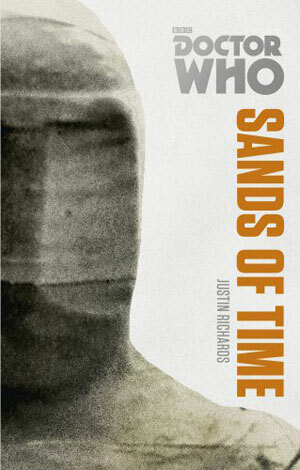 If the covers are anything to go by, then Sands of Time has proven why. Low quality images. Also, kids won’t buy “because it’s Doctor Who”. 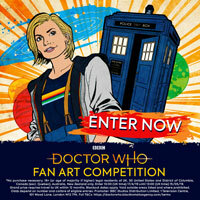 They will need to see something that is of relevance to them, which isn’t just the Doctor Who logo. 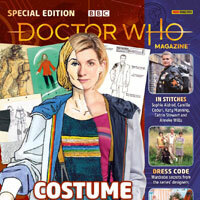 The fact is the BBC are going to use images relevant to today’s kids.If you put a picture of a classic Silurian on the cover,chances are a kid wouldnt have a clue what it is. are they on the bbc shop? are they going to be in book shops? Yes that is possible for a past Doctor to meet a new series style monster, however the reason that people are getting upset is because there the wrong type. Hope I helped a bit! Ah…thanks. I’ve never read these books I’m ashamed to say- ’bout time I did! It would make a great episode for us fans if the Doctor met old series versions of some of his monsters- it won’t happen but, if it did,…wow! Of course, he almost/sort of did in Asylum of the Daleks…or, at least, the old dalek designs were just within shot in the background! 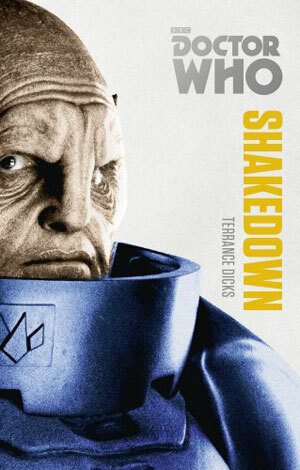 Why are people saying that the Shakedown Sontarans could be new series design or Two Doctors design??? The Shakedown Sontarans should look like Shakedown Sontarans… you know… the one’s from the video from which this book was adapted & expanded. Its good that they are bringing back some old books so that fans can get them if they have not got them. I’ve always been a bigger fan of the Daleks than the Cybermen. 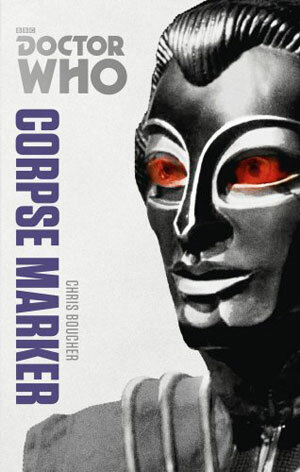 The Daleks are my favourite TV villain but I have to say, the Cybermen cover is the creepiest looking book cover I’ve seen in a while. My favourites are Shakedown, Illegal Alien, Sting of the Zygons and Sands of Time. I think I will get Shakedown first. Wow lovely covers I need these!! I still haven’t completed my 50th reprints with the Doctors!! 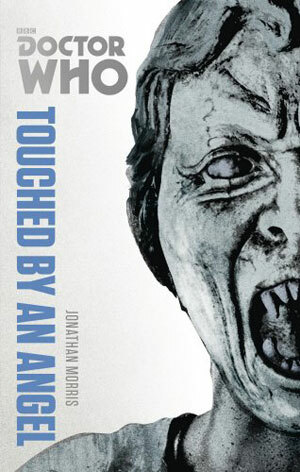 I must say – I am loving the fact they are re-releasing all these classic Who books. It is nice to be able to purchase some books that don’t only feature Matt or David and instead ones for other Doctors, such as Sylvester. 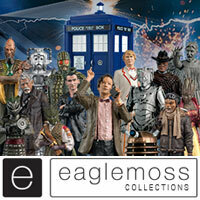 I have all the 50th collection books – and I look forward to buying these after Christmas when I have a bit more money. Some of the covers need changing, as they feature the wrong versions of an enemy when it comes to the the stories involving classic Doctors. ‘Shakedown’ should feature a classic series Sontaran, as they was never shown in their blue uniforms until they first met the 10th Doctor. 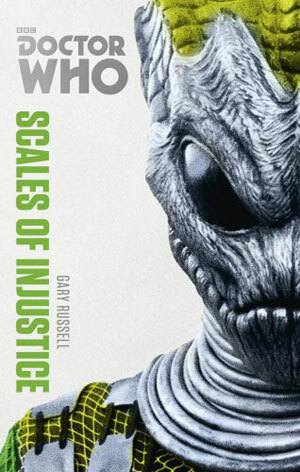 ‘Scales of Injustice’ should feature a classic series Silurian, as the 3rd Doctor never met the mask wearing, gun totting, clothed female versions until his 11th incarnation. original new series Cybermen until his 10th incarnation. I’ll make an exception for ‘Sands of Time’, as the 5th Doctor might have encountered Mummy Robot’s, even thou it was the 4th Doctor we see meet them in ‘Pyramids of Mars’. Actually, the cover should have the ones from ‘The Wheel in Space’ as it is that model he encounters in the novel, and they were on the original cover. As for Shakedown, it is open to interpretation as in the spin off under the same name, the Sontarans have an entirely different uniform than anything seen on Doctor Who! Blimey that was a mouthful! I think it’s probably important to note that some books like Corpse Marker are not really kid friendly! 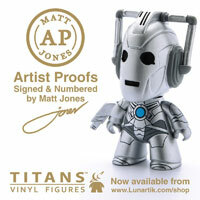 Yeah, but these will probably be bought by young Doctor Who fans. These were written for older fans, unlike the new series novels. I love the covers! I like the Sirulian one the most. I like the zygon one best! Remember: anyone who has these (including the rare Shakedown that I’ve seen selling for about 50 bucks in the original), these are not aimed at you. And the more of these reissues the better as we get more of the ore-BBC Books volumes back in circulation. I’ll likely buy most of these. 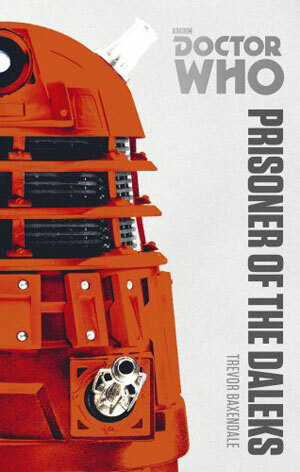 You can now buy the 50th anniversary re release novels for all 11 doctors in the works. £1..99 each or 3 for £5. I suspect these might end up in there as well in about 6 months so I’ll hang on till then . Would it have been so bad to have used the proper monsters on the covers? 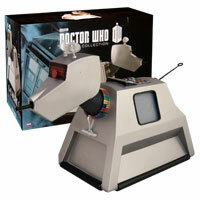 Shame too that there isn’t one for each Doctor like the last re-releases. Not sure what Doctor 1 could have been, but 2 could have been Twilight of the Gods with the Zarbi, 6 could have been Synthespians with the Autons and 8 could have been Dying Days with the Ice Warriors. The closest I can come up with for the First Doctor is Eleventh Tiger, which is heavily implied, but never stated to feature the Mandragora Helix. That cover could be the hood and mask of a Demnos cultist. 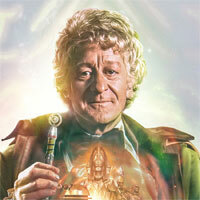 The Second Doctor could be The Final Sanction. It would be cool to see half the cover taken up by a walking armoured shark! For all the comments about how the monsters on the covers don’t match up with the ones in the books, it’s supposed to make the books easier to market. More people know a modern Silurian than the 70’s ones. 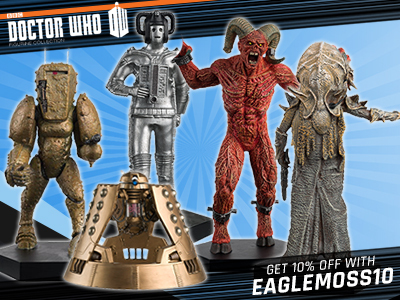 I think I’ll just get the Dalek one because I already have the original Weeping Angel one. 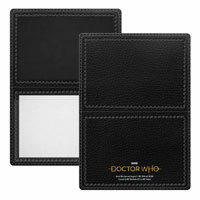 But then again I might get the Zygon one. Wrong Silurian and Cyberman used on the 3rd Doctor and 7th Doctor books! Apologies for this but these covers make me sick!! 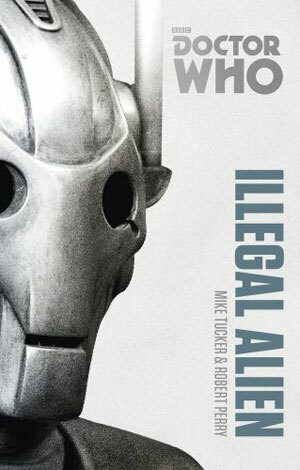 For anyone who got the originals first time round (in some cases) Illegal Alien is 7th Doctor with ‘Wheel in Space’ Cybermen….Scales of Justice is 3rd Doctor Silurians….I know that this has been done to sell it to the new audience but not happy. Story wise though it’s good to be able to get them a bit more cheaply that they are now and Corpse Marker is a classic. I don’t think I’ll get these as I don’t really like the covers and I’ve gotten most of them! Nice covers but I doubt I will get them. Urrrgh, they have those awful new Sontarans and Silurians on the covers.